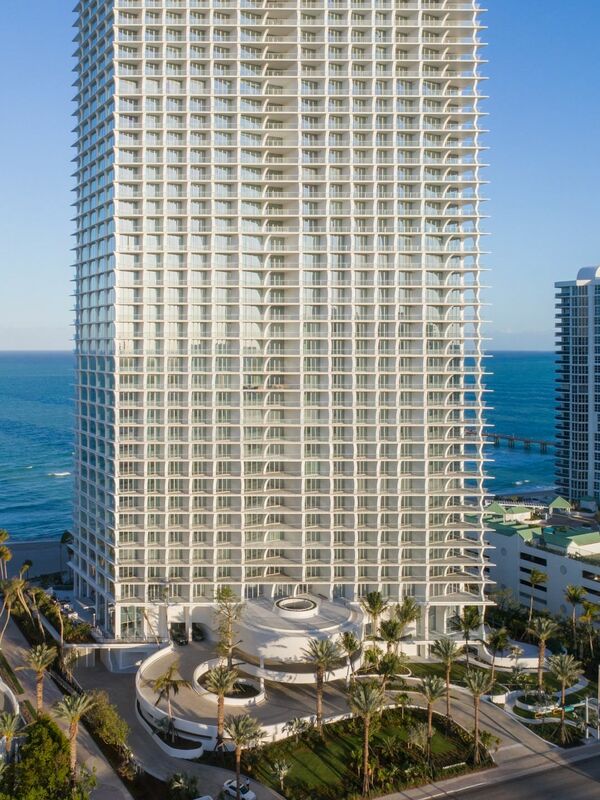 The 57-story Jade Signature in Sunny Isles Beach took nearly five years to build (groundbreaking took place in July 2013). Here is a first look at the exterior of the building, designed by Pritzker Prize-winning architect Herzog & de Meuron. 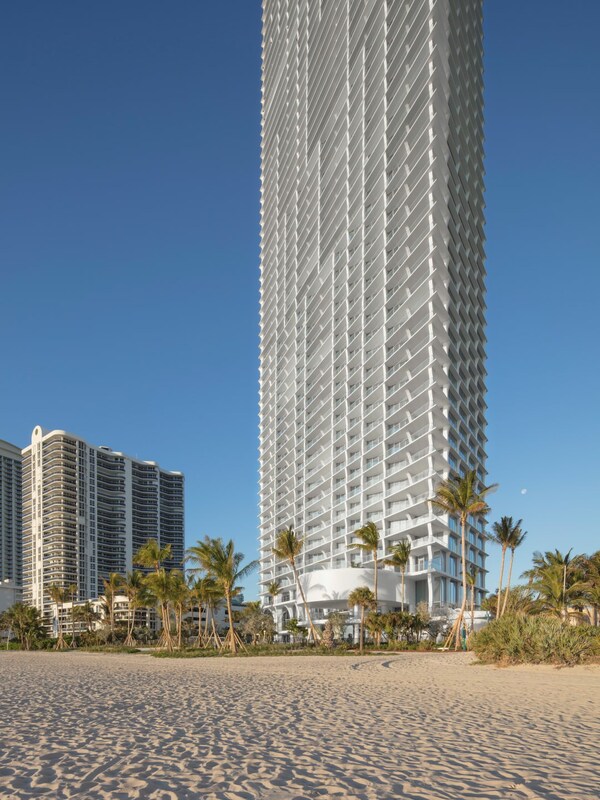 SUNNY ISLES BEACH, FL (March 15, 2018) – The grand opening is set for Jade Signature, Miami’s most architecturally extraordinary oceanfront address. 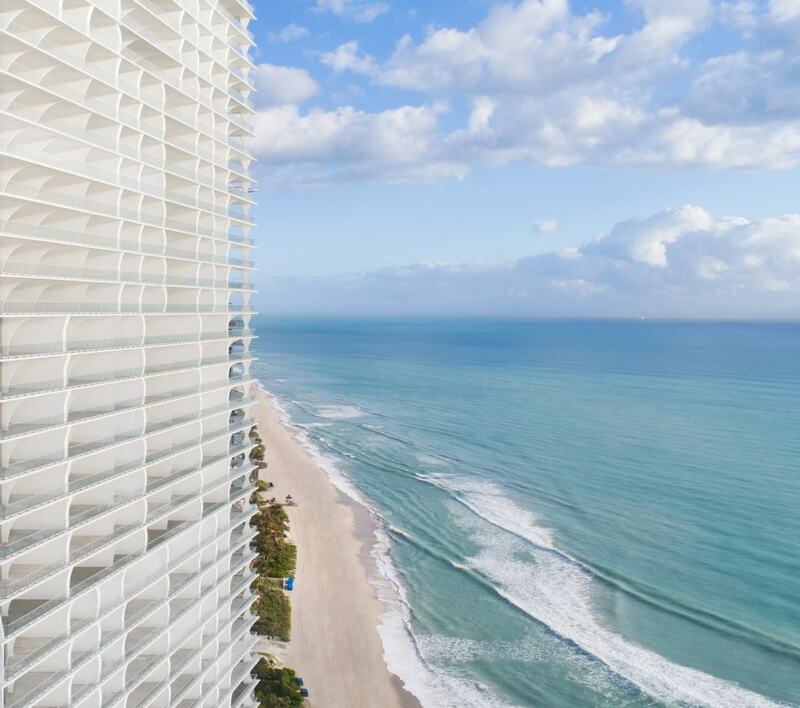 Friday, March 16, will mark the unveiling of the Sunny Isles Beach icon — created by Pritzker Prize-winning firm Herzog & de Meuron and developed under the leadership of husband-and-wife team Edgardo and Ana Cristina Defortuna of Fortune International Group. The beauty of the tower reflects the top talents of a trio of the industry’s greatest collaborators: world-renowned Swiss architects Herzog & de Meuron, visionaries behind the Tate Modern in London, 1111 Lincoln Road, and the Peréz Art Museum Miami; celebrated Miami landscape architectural firm Raymond Jungles Inc.; and Parisian interior design firm PYR, led by Pierre Yves-Rochon, who has gained international prestige for elegant interiors in top luxury residences, spas and hotels, including the Four Seasons George V in Paris, The Savoy in London, and the in-progress renovation of the Waldorf Astoria in New York. 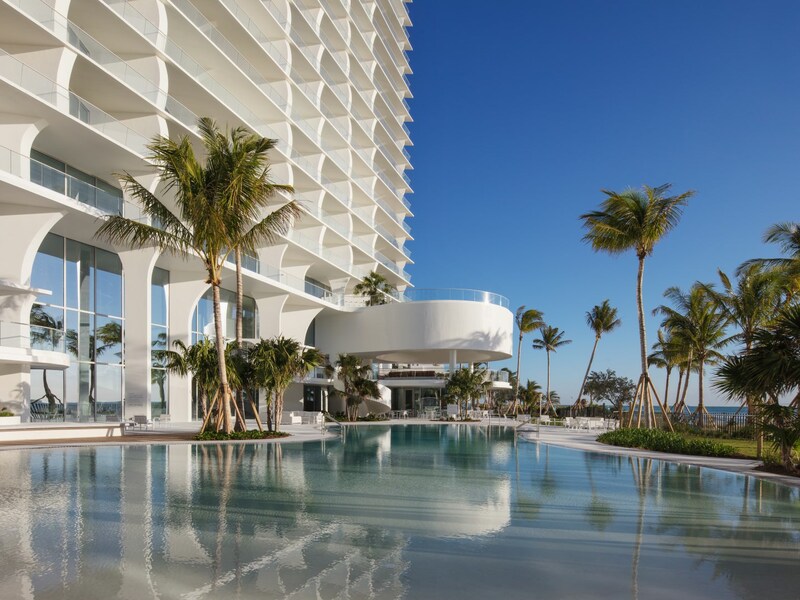 Exemplifying a revolutionary approach to innovation and design, Jade Signature has achieved a new standard of excellence in catering to the needs and desires of its residents – all while utilizing the natural environment in an eco-conscious manner. The tower’s expansive units are marked by flow-through-style floor plans, not only ensuring optimum ventilation, but enabling owners to cool their residences naturally year-round. 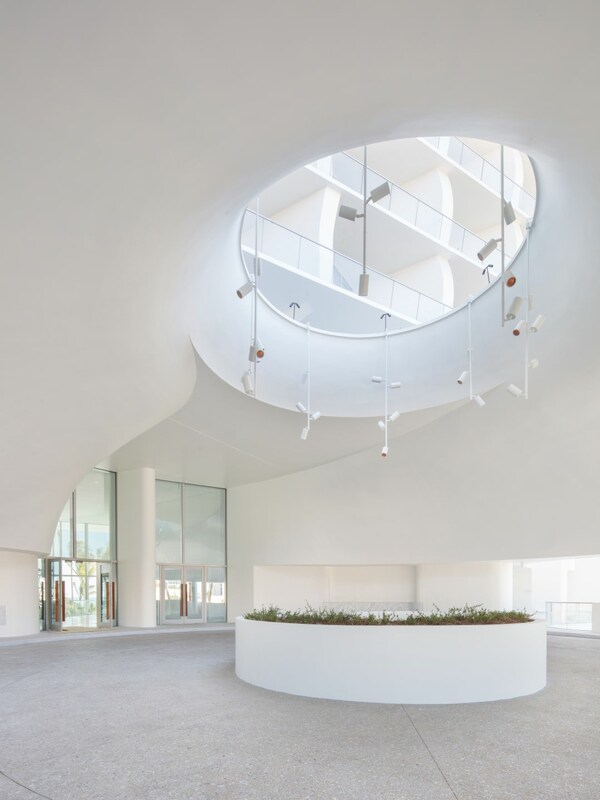 An influx of sunlight is maximized across the grounds due to the building’s brilliant, slightly angled position along the beach. A three-story underground parking garage (some 40 feet below sea level) eliminates the need for an unsightly pedestal and subsequently creates a seamless connection between the ground floor and the pool, as well as the deck, gardens, beach and ocean beyond. This unique structural design additionally allows for more landscaping and vegetation around the base of the property. 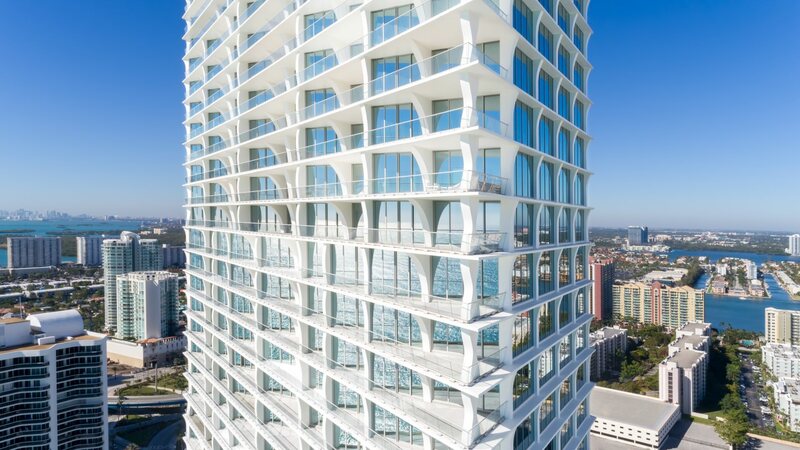 Essentially, the architects have left no detail overlooked, making the tower incomparable to any other residential building along Miami’s coastline. 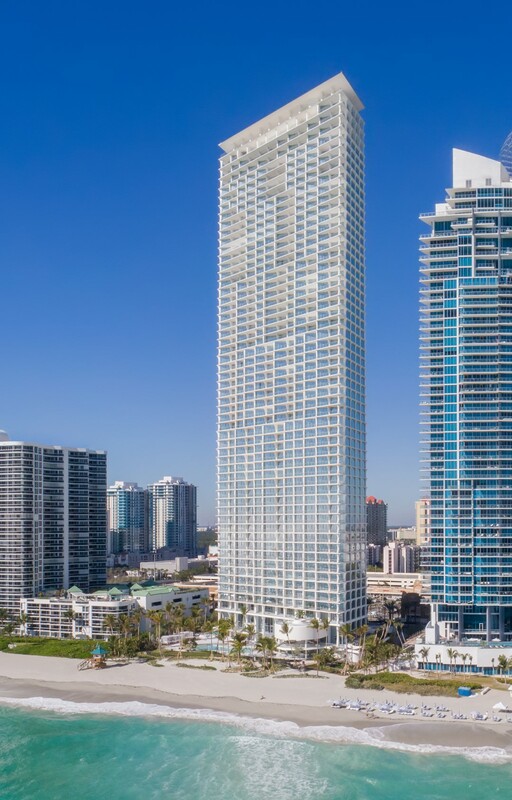 Jade Signature is not only a bold architectural statement – it signifies a crowning achievement for the Defortunas, who have built many of Miami’s most prolific residential buildings over the course of the last three decades. Now, following years of anticipation since its 2013 groundbreaking, Jade Signature’s 192 residences are more than 95% sold – purchased by a multitude of captains of industries and leading families spanning the U.S., Latin America and Europe. The tower’s most intricate details demonstrate a focus on ultra-luxe living. From the porte cochère to Jade Signature’s unmistakable silhouette, each architectural aspect is mindful of residents and their day-to-day experience within the space, as well as the property’s adjacency to the natural environment. Resort-style features are hallmarks of the building, including a stunning beachfront deck with an organic, zero entry free-form swimming pool, secluded cabanas, a heated spa surrounded by nature, and a 25-meter lap pool. Private beach amenities include chaise lounges, umbrellas and an oceanfront restaurant with towel and beach service. Jade Signature also has a full-service spa for residents and guests, complete with a sauna, steam room, hammam, relaxation zone, and treatment rooms. Additional property amenities and services include a state-of-the-art fitness center, library and reading lounge, wine bar, clubroom, entertainment and game lounge, business center, playroom and tech lounge for children and teens, full-service concierge, private elevator entrances, and smart technology throughout. 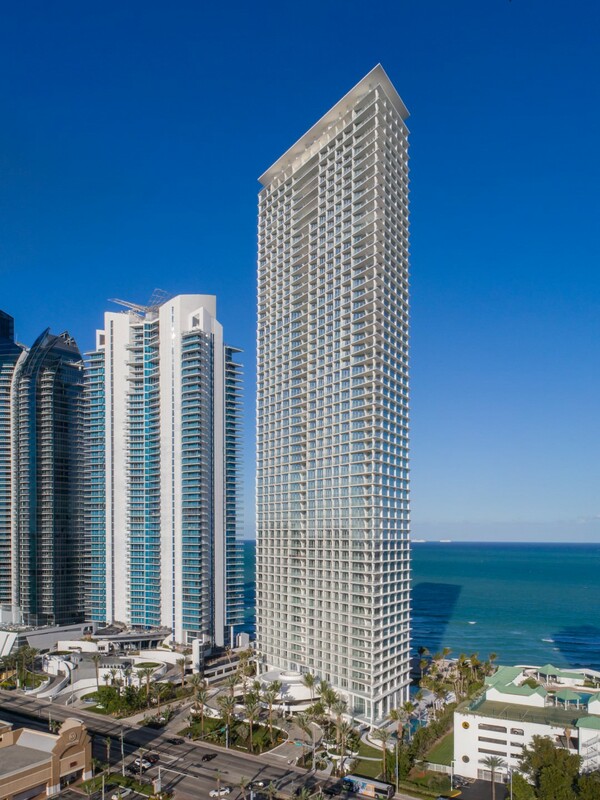 Nearly sold out, Jade Signature has a limited assemblage of residences remaining among the tower’s most luxurious units. Known as “The Collection,” the portfolio is a compilation of two-story Sky Villas and penthouses, ranging from $14.2 million to $32.9 million. The Sky Villas offer stunning features, such as flow-through views, expansive terraces, private elevators, smart technology, service quarters and PYR-designed bathroom cabinetry. The two full-floor penthouses boast all of these world-class features as well as a private pool, gym and 360-degree views of the Atlantic Ocean, Intracoastal Water and the Miami skyline. Additional offerings include three- to five-bedroom residences, with sizes starting at 3,312 square feet and prices starting at $4.8 million. Was underwhelmed but the rendering. But it’s stunning in it’s built form. Completely in agreement, the built structure is 100x better than the concept form. It’s OK, however it gets 5 bonus points for the underground garage. PUNCH Films is in this Building N’est pas? This is compared to the Aqualina Mansions and to go Organic in a secluded Oasis Spa setting it sort of worth every penny. Now I need a million dollars to buy this special property on the Beach I’ve found back in my building not Jade Ocean but FOC.with Miro . Why did it take 5 years to complete?? Ever build parking a few floors underground next to an ocean? Apparently Sunny Isles Beach is exempt from global warming panic. The beach is just as wide as it was 10, 20 and 30 years ago. I am starting to thing it may be a hoax. If that was the case, then the older building would be buried under the fresh sand.